One of the joys of freelancing is that you get to travel around, meet new people and discover new places and stories. I guess I’m basically nosey and I’m lucky to be able to have these opportunities to indulge my curiosity. I had reason to go to Malmesbury on the Wiltshire / Gloucestershire border recently. It’s a town with a huge amount of history and it knows it! distinctive feature of the town’s appearance. I first went to Malmesbury a couple of years ago with colleagues from the Wiltshire Archaeology Service to see some of the projects that they were working on. This included a house under restoration whose garden, an old burgage plot, met the towering town walls. The views were spectacular. It’s one of the many towns in Wiltshire where you just have to scratch the surface to discover something fascinating and ancient. On this visit I discovered Malmesbury’s beautiful Market Cross, which Pevsner describes as “one of the finest in England”, had been damaged by a recycling lorry late last year. This Grade 1 listed structure was constructed in the late 15th century and has some fine carvings. The photograph below shows the extent of the damage. A post on the Malmesbury Town Council website dated 12 February 2019 notes work is progressing and that this is a ‘lengthy process’. Having cared for historic buildings with English Heritage I feel their pain and frustration with the time that a repair of such an historic structure will take. However, it seemed that there was a missed opportunity here. It may be that I am unaware of such a project, but it seemed that the time that a conservation project like this takes could be used to its advantage and that some community engagement could be undertaken to help the residents of Marlborough understand the Market Cross better. A Town Council minute notes that the Civic Trust wanted to undertake an aerial survey in 2017 – I do hope that this was completed as the survey will be useful in ensuring that the work restores the Cross to its former state. 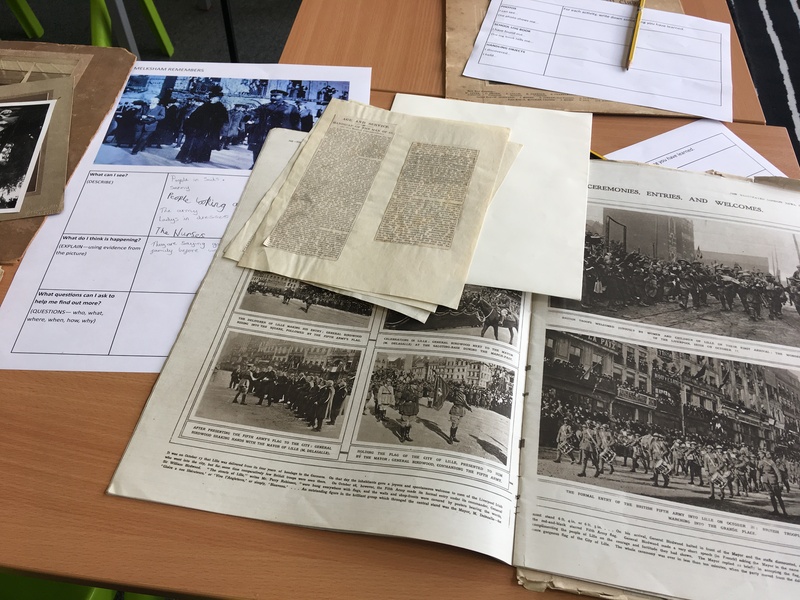 Some really fun and creative work could be done by local schools and groups to help them discover more about the Cross and the history of the Town. What about an inter-generational reminiscence project asking people about their memories – after all how many sweethearts must have met here?! After pondering this, on the recommendation of a friend, I sought out the Moravian Chapel. I had read about this fabulous community project run by the Friends of the Athelstan Museum. Although closed, our attempt to enter had not gone unnoticed and one of the volunteers graciously showed us in. I was not disappointed, this is an exemplar project and the quality of the work was evident. It’s a beautiful and flexible space which still retains the character of the Chapel but can be used for a variety of community events. As a result of their work this beautiful heritage building has a long term future. Finally I took a trip to the Athelstan Museum itself. I had heard lots of good things about them and was not disappointed. 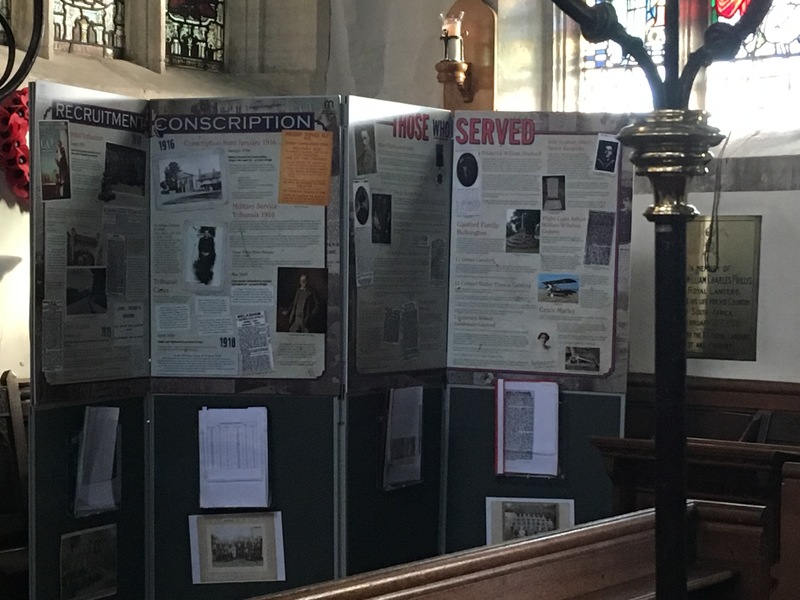 This Museum which is entirely run by volunteers offered a warm and knowledgeable welcome from the volunteer on duty when I arrived and excellent displays, well presented on the various aspects to Malmesbury’s long history – and its all free. I particularly liked the hats which featured Malmesbury lace and the temporary display on the pubs of Malmesbury as well as the timeline and features on specific events and people such as Thomas Hobbes. I attended the annual Wiltshire in Archaeology Conference last weekend. This is arranged by the Wiltshire Archaeology and Natural History Society (Wiltshire Museum) and the Wiltshire Archaeology Field Group. It’s been a highlight of the year for me for several years now. I first attended as part of the Stonehenge and Avebury World Heritage Site Coordination Unit. We were one of several organisations who took a stand at the conference. It was always a good opportunity to talk about the work of the Coordination Unit and future plans for the World Heritage Site and to distribute the annual newsletter Megalith. Since becoming a freelancer I have continued attend. It’s a great way to find out about what’s going on in Wiltshire’s wonderfully rich archaeological landscape, catch up with colleagues and keep up to date on the latest trends and developments. The format is tried and tested now and always begins with an excellent round up from Melanie Pomeroy-Kellinger, County Archaeologist for Wiltshire, of the projects and development led archaeology that her team have dealt with over the last 12 months. It never ceases to amaze me that we are constantly adding to our knowledge of the history of Wiltshire with not just new Roman villas but whole communities still being discovered. The chalk soil of many areas of Wiltshire means that the archaeological deposits are often very close to the surface and consequently vulnerable to ploughing or animal disturbance. For the conference this year there were two particular stand outs. Firstly the work of the Map of Australia Trust (MOAT). This project has restored the map of Australia at Compton Chamberlayne which was created by Australian troops during the First World War. Spearheaded by the inspirational Helen Roberts who grew up in the shadow of the Map, the project was entirely run by volunteers with support from Historic England who undertook a landscape survey of the monument before restoration work began. This Scheduled Ancient Monument is now off the Heritage at Risk list and should be maintained for years to come by the Trust. Not only did Helen and her volunteers restore this monument but the project also sparked a wider interest in the history of this area during the First World War where a large number of Anzac troops passed through the camps established at the foot of the Salisbury Plain at Compton Chamberlayne. They will be marking Anzac Day on 25 April so why not join them? The project demonstrates how a small number of people can make a positive difference. The ever increase in digital communication and our busy over pressured lives often lead to lack of involvement in our local communities. It was clear from Helen’s presentation that those who participated really benefitted from being part of a group that was making a literally visible difference. With so many good community projects out there crying for volunteers to commit just a small contribution of time how do we encourage more to discover that they get back so much more than they give and that they will feel so much better for it? Linked to that idea the other stand out theme for me were two projects that further demonstrated the impact that archaeology and historic landscapes can have on our wellbeing. I think that the benefits of culture and heritage on wellbeing is now well established in the sector. There are numerous case studies and reports that reflect this. Social prescribing is being used more and more to tackle social isolation and mental health issues. Daniel O’Donoghue of the Richmond Fellowship and Laura Drysdale of The Restoration Trust spoke about the Human Henge project which I have been following since it began in 2016. 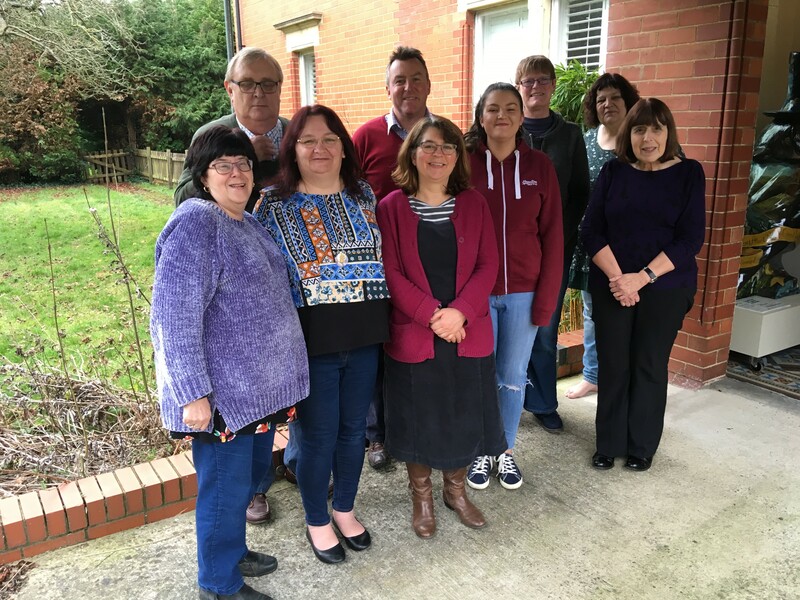 The Human Henge Project involves English Heritage, the National Trust, Bournemouth University, Wiltshire Council and the local NHS mental health partnership and is supported by the National Lottery Heritage Fund. This is a project which demonstrates how organisations working together as partners can produce extraordinary things. By its nature Human Henge has only impacted on relatively small numbers but the benefits have been already recognised and I understand that there are plans to roll this out to other parts of the country. The project introduces people with mental health problems who may not normally access heritage sites to the wonderfully fascinating landscapes of the Stonehenge and Avebury World Heritage Site. Experts give their time to interpret and explain what they know about the ancient landscape. The participants are active, not passive, partners in the process who are valued and take part in the debate on how the ancient landscape was used throughout the 10 week programme. It uses guided walks across the landscape and music to help people explore the historic landscape. The funding enables key barriers such as entry fees and transport to be overcome. By its nature Human Henge has only impacted on relatively small numbers but the benefits have been already recognised and I understand that there are plans to roll this out to other parts of the country. Finally, Richard Osgood (2019 Archaeologist of the Year) of the Defence Infrastructure Organisation gave us an overview of the much lauded Operation Nightingale. This project has supported many serving soldiers and veterans to recover from physical and mental injuries through archaeology. Richard says soldiering has many parallels with archaeology and the participants love the camaraderie of sitting around the camp fire spinning yarns as well as the experiences of excavating a range of different sites. I am most familiar with the Barrow Clump excavations just north of the Stonehenge World Heritage Site. There have been spectacular finds there but the Project has also worked on First World War practice trenches on the Wiltshire/ Hampshire border and on a Second World War aeroplane crash site. Again, the impact of archaeology on the wellbeing on the participants has been well demonstrated and several have gone on to train and work as archaeologists with commercial units. So it has not only provided healing but employment opportunities too. The past is an endlessly fascinating area and everyone can find something to absorb them and take them away from their own personal issues. The physical nature of walking or excavating a trench takes us out of ourselves and provides much needed vitamin D and exercise. Being with others and being part of a communal activity helps put things in perspective. Reaffirming a sense of place and identity. All these and more can help us re-balance our lives and feel better. I’ve just come back from a World Heritage UK meeting in Blaenavon World Heritage Site (WHS). The meeting was aimed at learning and engagement colleagues working in World Heritage Sites and it was great to see people representing sites as diverse as Fountain’s Abbey, Derwent Valley Mills, Kew, Saltaire, Frontiers of the Roman Empire and more! We also welcomed some of the UK’s tentative and aspiring World Heritage Sites from Shetland, North Wales, the Wirral and the Flow Country in Scotland. It was reall y inspiring to be in the same room as colleagues who are all passionate about sharing what’s so special about their World Heritage Sites with the wider community. We heard about the increasing role of person-centred engagement and using heritage to meet the individual needs of some really challenging and difficult to reach groups. We also thought about formal and informal learning in a more abstract way with Jamie Davies who has just completed his PhD Thesis with the Ironbridge Institute on World Heritage Learning which will be published shortly. Derwent Valley Mills are using the inspiration of the entrepreneurial spirit of the inventors of factories to help young people to learn practical business skills. 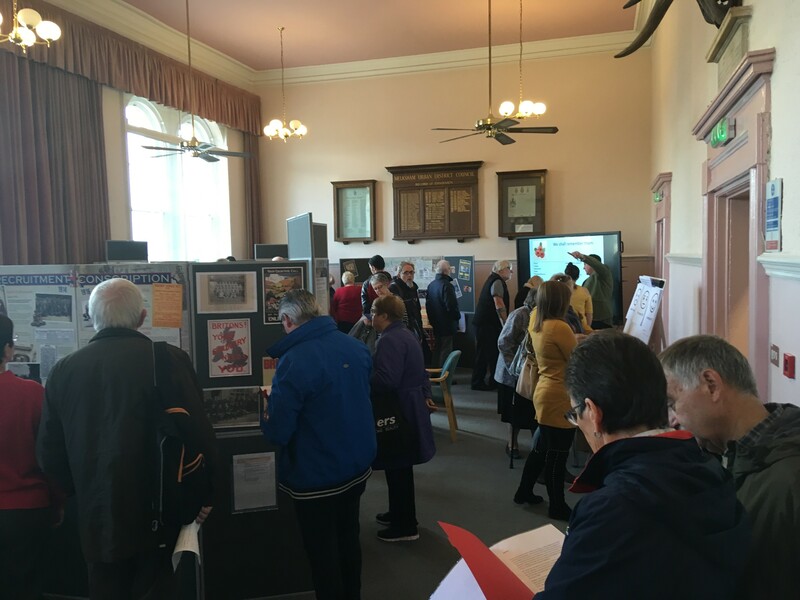 Blaenavon Town Council and National Museum Wales are programming successful intergenerational activities working in partnerships in their Dementia Friendly town. Torfaen Borough Council and the Blaenavon WHS team have been leading for some time on their Youth Ambassadors Scheme, which thanks to an injection of National Lottery Heritage Funding is set to expand to more World Heritage Sites across the UK. Cadw through their Unloved Heritage project are meeting the needs of hard to reach young people often resulting in unexpected outcomes. All of these projects have people at the centre and heritage is one tool in the practitioners toolkit but the impact on the individuals is meaningful and lasting. All of this took place in the former Bath House of The Big Pit in Blaenavon. One of the joys of taking part in the World Heritage UK meetings is the opportunity to visit World Heritage Sites around the UK. Although not my first visit to Blaenavon it was my first (and it won’t be my last!) visit to The Big Pit, part of the National Museum Wales group. The trip underground was fascinating and brought to life by the ex-miners who are able to give first hand accounts of what life was like underground. There are 27 mainland UK World Heritage Sites – these are sites on a par with Taj Mahal, the Pyramids at Giza and the Great Wall of China. Why not explore your own world class heritage sites this year? I’m just in the final wrapping up stage of a year long First World War commemoration project in the Melksham area. There’s always a few loose ends that need tying up at the end of the project and it’s also a good time to reflect on what’s been achieved. We started the project in the late summer of 2017 and an exhibition in November 2018 seemed a long way off then. As anyone who has put together an exhibition knows it’s not! 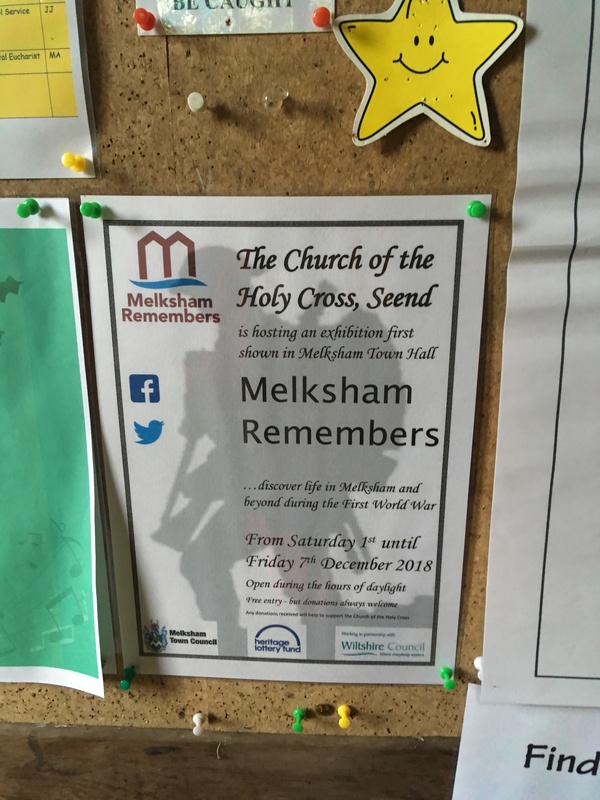 This Heritage Lottery Funded project was supported by the Wiltshire Council Melksham Area Board and the lead organisation was Melksham Town Council. They were keen that the project should explore what life was like on the home front rather than the usual focus on names on a war memorial, though that’s important too. The first step was to recruit local people to carry out the research. We held a recruitment event in Melksham library who were extremely supportive throughout the life of the project. People came and were keen (first win!). 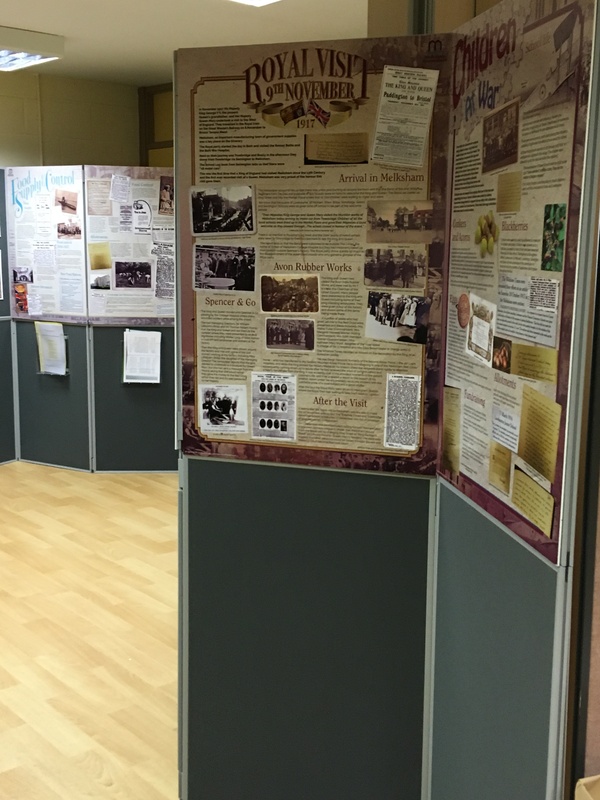 We held an induction session at the Wiltshire and Swindon History Centre. The team at the History Centre were another source of continued support with help and advice. They have a wide range of expertise within the team and the archive is comprehensive and well run. The volunteers loved using their services and always felt welcome. The activity plan included working with young people, older people and engaging the wider community. 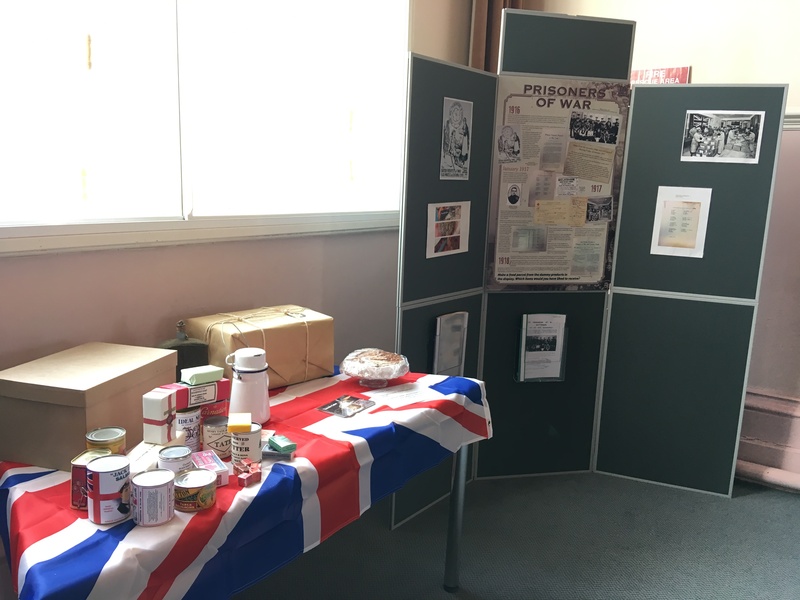 It culminated in a public exhibition at the Melksham Town Hall 10 – 11 November 2018 with special education sessions for local schools on the Friday supported by the Wiltshire Council Heritage Education Officer, Ruth Butler. Booking the Wiltshire Scrapstore encouraged families to attend with around 45 youngsters creating poppies and bi-planes. In all around 700 people visited. The exhibition then toured local venues with stays in Seend, Semington, Shaw, Broughton Gifford and Bowerhill. In total we estimate around 1,000 saw the exhibition which was overwhelmingly well received. If you think that I could help you with volunteer recruitment and management or similar community engagement project please do get in touch! I’ve been privileged to work recently with the team at the Trowbridge Museum on developing how they will evaluate the impact of their exciting Onwards and Upwards Expansion Project which will begin this summer and see the Museum closed until 2020. On this project I collaborated with Helen Horler of Culture Force – always a great way to work – pooling skills and resources to ensure the client gets the best result. What makes freelancing so great is the window it provides into new teams and organisations and I love getting to know how each team ticks, what makes them so special, exploring new collections and finding out more about communities that they work with. Trowbridge at one time was know as the “Manchester of the West” because of the large number of mills creating woollen cloth. These structures still have a huge presence on the town and the houses of the clothiers who owned and managed the factories are impressive buildings in this relatively small town. Indeed so impressive are they that Pevsner in his Buildings of England described them as “palaces”. One of the aims of the project is to tell the story of Trowbridge in the industrial history of England and the West Country. This is an essential aim as Trowbridge has experienced a period of economic decline following the closure of the mills and other businesses such as the Ushers Brewery and Bowyer’s sausage factory. Many people are unaware of this industrial past. The Project will see an expansion of the Museum into another floor of the former Salter’s Mill giving it more space to tell Trowbridge’s story and to create a better temporary exhibition space to assist in the museum’s long term sustainability. It has been so great to work with the team. We are currently gathering base line data so that they can measure the impact of the Project in the months and years following the reopening. I am looking forward to following their progress and supporting them throughout the development. I was really pleased to be invited to assist the City of Bath World Heritage Site team with their part of the nomination bid process as part of the serial transnational tentative world heritage site; the ‘Great Spas of Europe’. Like every specialised area, the business of World Heritage is full of jargon and technical terms. The City of Bath is already ‘inscribed’ as a World Heritage Site (30 years ago this year) and is one of 1,052 (as of 2016) sites to be given this accolade. The business of bidding to be added to this list is long and time consuming (you wouldn’t want it to be too easy after all) and the applicant, in theory the national government or ‘State Party’ but, in fact local people with passion and belief, have to complete a lengthy nomination document. In this dossier the State Party have to demonstrate that their city or heritage site is up there with the best and deserves to have recognition as a heritage asset of ‘Outstanding Universal Value*’ i.e. it is important not just to the local community or nation but to the whole of humanity. The work gets much more complicated when you make a bid for a ‘serial transnational’ site. This means a site that has more than one location and transcends national boundaries. An example of this is the Frontiers of the Roman Empire World Heritage Site. This includes Hadrian’s Wall, the Antonine Wall and the Limes of the Roman Empire in Germany. Each of the 7 nations and 11 sites that make up the Great Spas of Europe has a fascinating story to tell as meeting places, places of learning, healing and pleasure. The sites have to collectively demonstrate that they are worthy of being added to the World Heritage List by meeting one or more of the 6 criteria for cultural world heritage sites. The City of Bath has a 2,000 year history of healing from the Celtic culture, through the Roman period to the Benedictine community of the Middle Ages and to the Corporation of the hey-day of the eighteenth and early nineteenth centuries (think Jane Austen). I can’t claim to have done the research myself, others claim the credit for that, but it has been fascinating to learn about the characters who came to Bath and its hot springs drawn by the distractions and diversions as well as its reputed healing powers as I pulled together the draft City of Bath’s Management Plan as a component part of the Great Spas of Europe. I’ve really enjoyed finding out more about Bath and its place in history whilst preparing the draft management plan. Bath had the first purpose built hotel outside of London and it’s impact on town planning and diagnostic medicine should not be underrated. Tourism and holidays were pioneered by Bath and the other towns of the Great Spas of Europe opening up the whole idea of rest and recreation for the new middle classes. The work continues on the nomination bid and I look forward to following its successful conclusion. As a former Stonehenge World Heritage Site Coordinator, member of the World Heritage UK Board and currently their Finance Manager I am able to advise and support on World Heritage issues. Contact me!